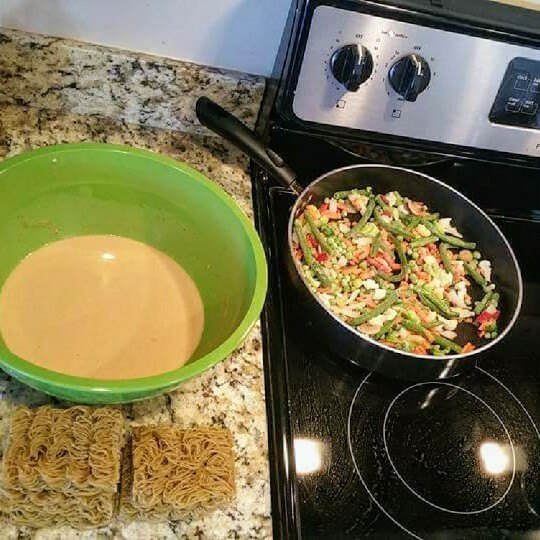 12 ounce Noodles (flat or spaghetti) *I use 5 dried Asian noodle stacks of the gluten free millet and brown rice ramen in the pic. 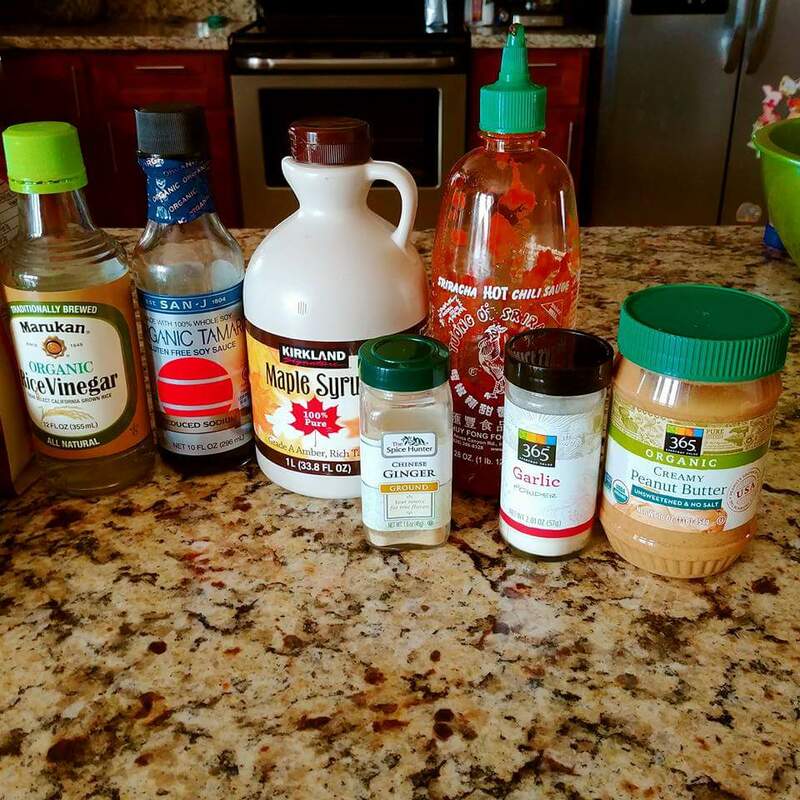 ** for a soy free version sub the soy sauce for 1/2 cup Coconut Aminos and cut the sweetener down to only 1 Tbs. Omit the tofu. You can sub the vinegar for 2 Tbs lemon juice plus 2 Tbs lime juice. And you can sub the siracha for a few pinches of cayenne pepper. Noodles: Boil the noodles according to package. Drain and rinse with cold water. 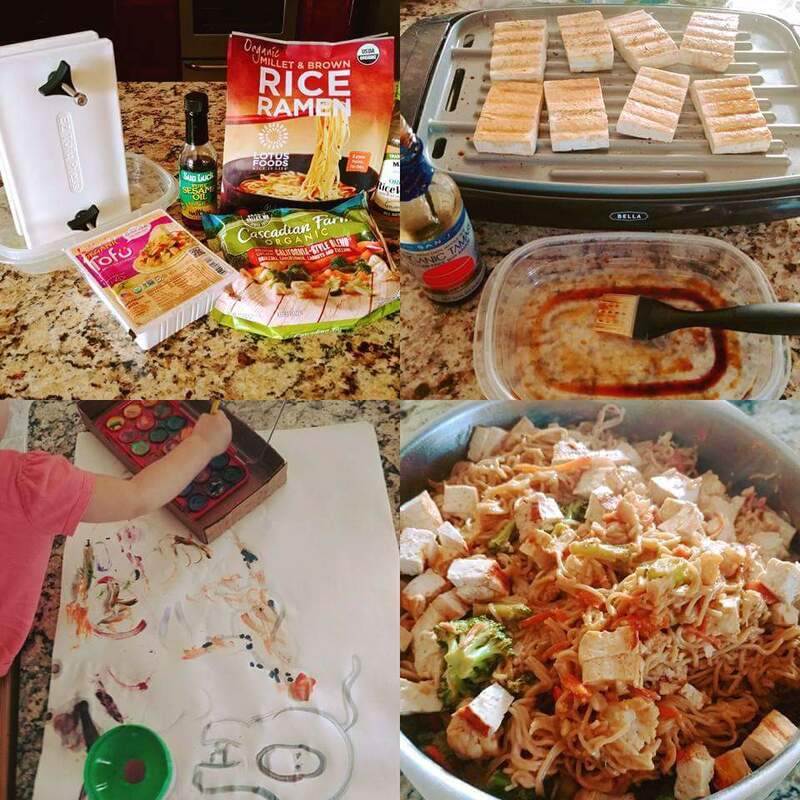 Tofu: Grill or bake the tofu. For baked tofu, drain, press, and cube. Lay on parchment at 425° for 25 minutes until browned. For grilled you can make up a marinade of tamari and sesame oil (omit if oil free). Baste on tofu steaks and grill. Sauce: In a large bowl, combine all the sauce ingredients. Start with the nut butter and smash with a fork. Then whisk in the rest. Or use the blender. 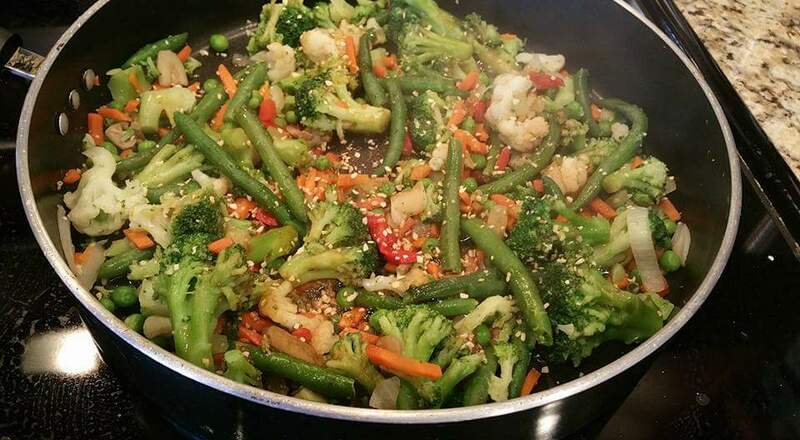 Stir Fry: In a deep wide pan or wok, stir fry the veggies in tamari/coconut aminos and sesame oil or just in a dry pan. If using fresh, add a little water to saute in. 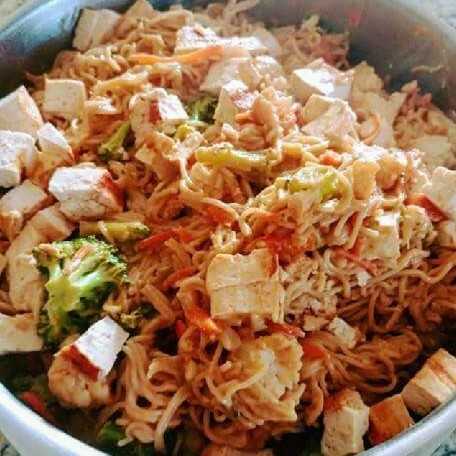 Add the cooked noodles and sauce. And the baked tofu. Stir & heat through. 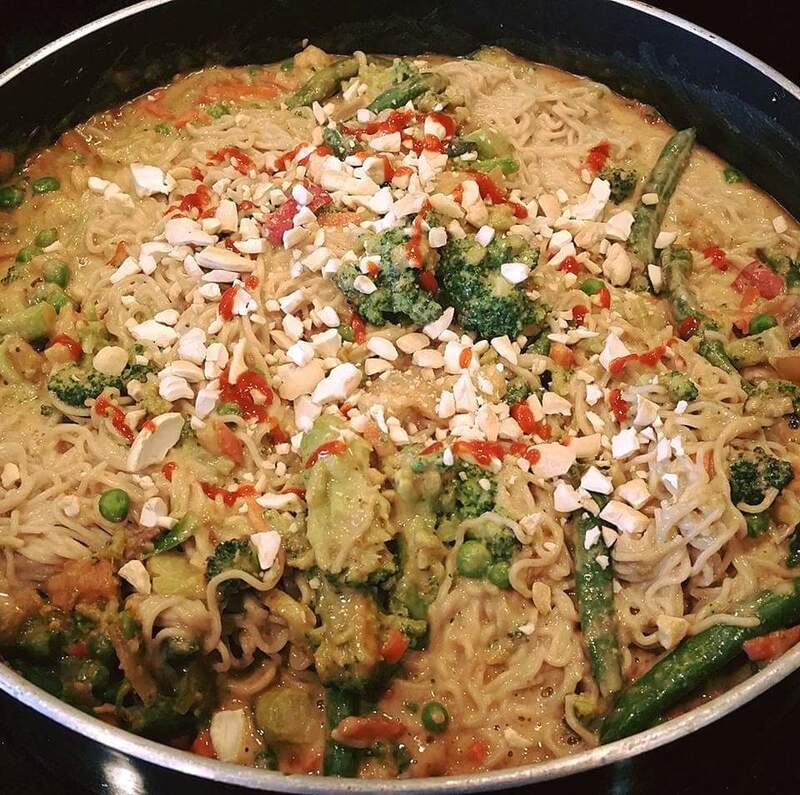 Top with crushed cashews or peanuts, sesame seeds, and more Siracha. Season with sea salt to taste and a lime wedge. Enjoy! Made this for dinner today. Followed the oil free notes. Delicious! Made this for dinner today. Followed the oil free notes. Delicious!! Thanks Melissa! So glad you enjoyed!